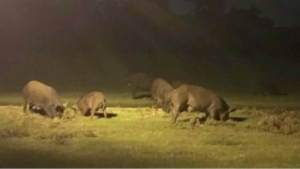 Hogs invade Sugar Land’s Riverstone community. According to ABC13, the HOA says it added 12,000 feet of fence last year and each year the hogs are costing the community more than $100,000. See the full story on ABC13.com.